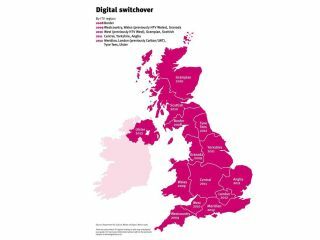 Online comparison website uSwitch has found that consumers are still confused about what they have to do ahead of the switchover to digital TV. Its survey found that 8 out of 10 UK adults (83 per cent) are unprepared for the changeover from analogue to digital TV. Nearly a quarter thought they would have to buy a new TV set to receive digital TV signals, when in fact any TV with a scart input will be able to receive broadcasts through a set-top box. Digital TV can also be picked up using a satellite dish, cable service, or telephone line. More than half the 2,345 respondents (57 per cent) said the Government was to blame for the lack of the information as to why and how the switch was occurring, Steve Weller, head of communication services at uSwitch, said. "Despite the switchover being a Government initiative, over half the people we surveyed felt that the Government had not done enough to prepare them for the switch. This is staggering considering they announced their digital plan back in September 2005. They have had plenty of time to get the message out," Weller said. "The problems and confusion have clearly risen due to the fact that there are so many different times and years that the changeover will occur, and the lack of communication has not helped ease such confusion. Consumers need to know when and how to make the switchover work," Weller added. Jon Steel, spokesman for DigitalUK , which is responsible for the digital switchover, said: "It is early days and we are aware that more education around the subject is needed." He added that information about the switchover had really only been distributed actively in "regions due to switch soon". "In these areas we have been delivering leaflets through people's doors and holding various media events. This has led to a much better understanding of the digital switchover from viewers," Steel said. The digital switchover will begin next year when Border TV will start turning off its analogue TV signals. Regions all over the UK will follow thereafter, ending with London and Northern Ireland in 2012.